Learn how to fuse glass to metal at 1500 degrees. Explore the sifting and application process involved in fine art enameling. FREE. 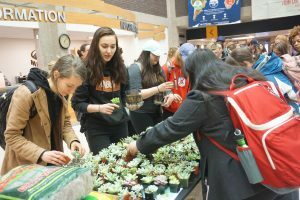 Join us in the Union Concourse to learn and make your own terrarium. Supplies are limited and are available on a first-come, first-serve basis, so arrive early.